This ring is made with a hand-forged 4mm sterling silver ring band. The band is a substantial 1mm thick. Upon this band, three diamonds are bezel set. 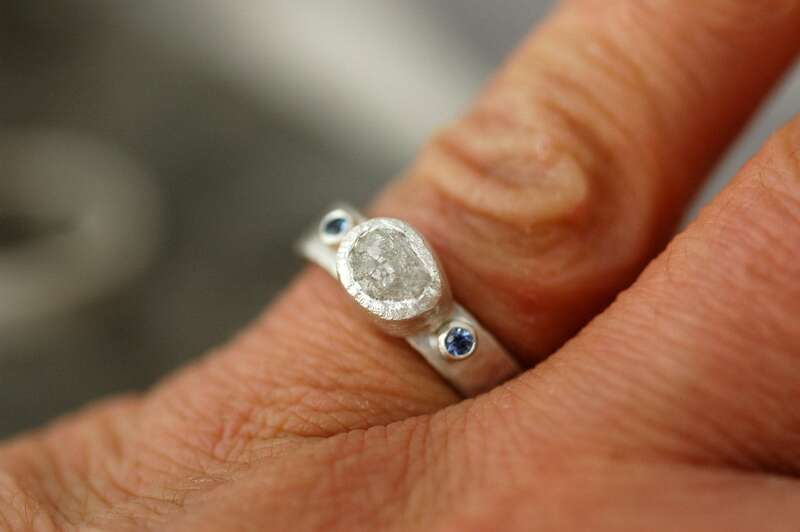 The centrepiece is a 4-5mm conflict-free raw diamond. My diamonds range in tone from translucent to opaque white, or from silver to black. Please specify your preference in the 'note to shop' box during checkout. 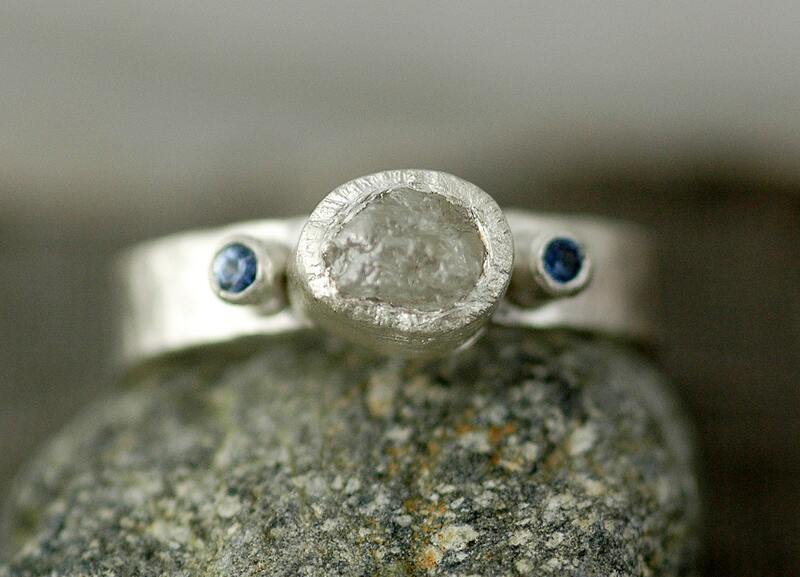 Flanking this rough, uncut diamond are two brilliant cut round Yogo Gulch sapphires from Montana, USA. 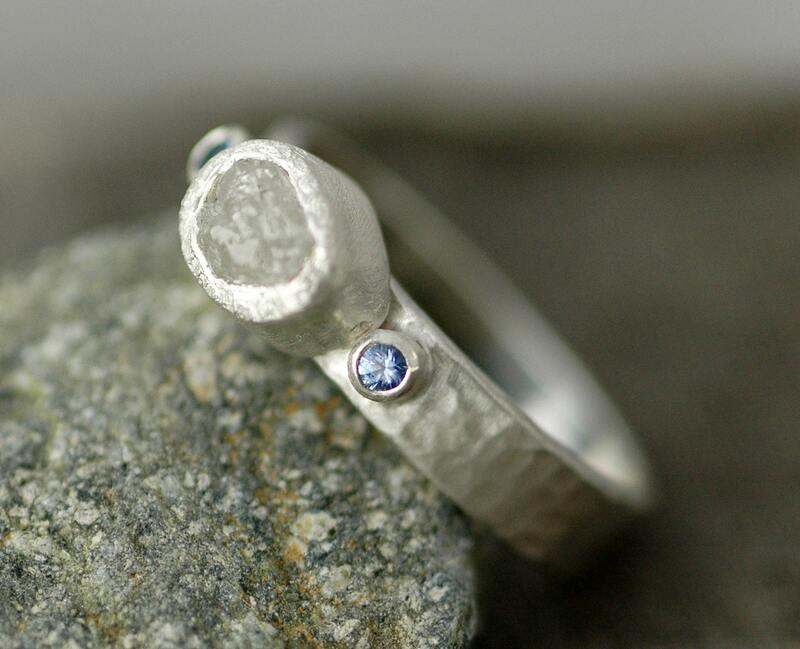 These little sapphires are absolutely gorgeous, and are a sweet cornflower blue colour. 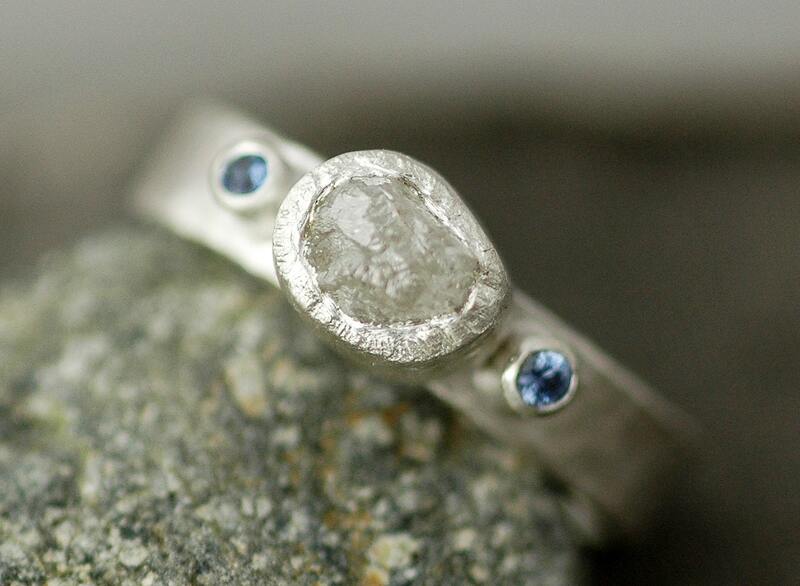 Want another stone used in the little bezels? I have most precious and semi-precious gemstones available in my studio. Ask about the pricing and availability of your favourite stone. Also, I can set more than two small stones on this ring. Please check out my shop for examples of these textures.